Kids today associate Mr. Potato Head with Toy Story. I was just telling my grandkids the other day, that Mr. 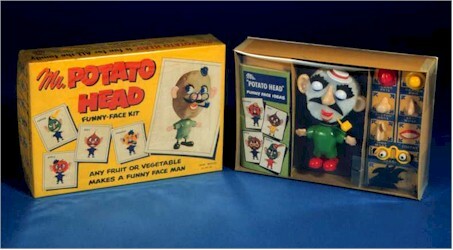 Potato Head came with hard plastic pieces (which would break off inside the potato) and you used a real potato.